Home » Loving yourself is about getting to know your child within. When you get to know who you are » that's when you realise that you are recovering. » your true essence » Loving yourself is about getting to know your child within. When you get to know who you are, your true essence, that's when you realise that you are recovering. Loving yourself is about getting to know your child within. When you get to know who you are, your true essence, that's when you realise that you are recovering. Title: Loving yourself is about getting to know your child within. When you get to know who you are, your true essence, that's when you realise that you are recovering. Loving yourself is about getting to know your child within. When you get to know who you are, your true essence, that's when you realise that you are recovering. Everything in the world is made of your recovery. Your Child Within is everything. You are in this world, so you are recovered. Your essence is your child within. You may be thinking, okay, I get that I am my child within--I get it in my head, but I don't get it in my heart. In my heart I feel worthless, rejected, depressed. if that is the case, then you are out of touch with your child within. Growing up, you probably never learned who you really are, and today, you are suffering from it. If you do not know who you really are, it doesn't mean that you're worthless. Just because you don't know it's raining outside, doesn't make it so. You are your child within because you are, whether you know it or not. There is just something in the way of your view. Something is blocking your ability to see yourself, to perceive your valuable, true and perfect essence. What could it be? It can be a number of things. One thing that could be blocking your view of yourself is repressed emotions and old coping strategies. Emotions are energy-in-motion that can become trapped inside your child within without expression. If you hold onto emotions, these emotions, this energy never dies, it only cycles in your Childs sub-conscious over and over again, many times below your conscious awareness. Your perceived worth and value, that is, the way you see yourself is determined by your core beliefs. Your core beliefs are determined by the decisions that you made at a very early age, from the womb to seven years old. These core beliefs are positive and life-enhancing when your needs are properly met as a child. Positive core beliefs lead to feelings of positive self worth. However, negative core beliefs tear you down and keep you low. If you feel worthless (which is untrue), then you have negative core beliefs that see yourself not as who you really are--a child within made of perfection, but for who you're not. If you feel worthless, if you disrespect yourself, it is due to poor core dissociated beliefs. Core beliefs are created in childhood. When you have dissociations locked inside yourself that were not dealt with in childhood, for whatever reason, these emotions never go away. Some emotions fester like a fiery furnace, hot with anger and rage. Other repressed emotions press you down, making your mood low and depressed. Other repressed emotions make you nauseous, others make your hip or other body part hurt. Emotions will not be denied! Emotions must be felt directly for the reason in which they were generated, or else they will come out in whacky ways. Lots of ailments, relationship problems and emotional issues are rooted in emotions that were repressed when we were children. The feelings of danger that are encoded in the unprocessed dissociated memories stored in the brain can be triggered by events in the present. Other emotions are FROZEN. Frozen emotions are emotions that you were not safe to feel as a child. For example, a child may be told to "stop crying, or I'll give you something to cry about," or maybe a child had to be an adult before his or her time. These things cause damage to our child within, even though the child can't let on. When a child has to keep a smile on his/her face to protect the heart of his mother, to keep her from feeling guilty for not being able to attend to his/her emotional needs, that child becomes damaged. Emotions are conjured by the abused child, but not necessarily released because releasing negative emotions might hurt someone or make their caretaker angry. Children are hard-wired for survival. Emotional repression is a tool that helps us survive... but it is not conducive to a happy, healthy, whole and full life. Frozen emotions are emotions that occurred during childhood that were unacceptable to be felt. The parent did not allow room for such emotions, so the child has no other option than to keep these feelings frozen in his or her heart. Frozen emotions occur when a child is afraid, terribly afraid. Fear is a natural feeling that comes from the terror of potentially dying. A child will die without a caretaker, therefore, emotional abandonment and other types of abuse causes intense fear for a child. The emotion of FEAR cause a distinct psychological and biological reaction in the human body. Three things happen in the threat of fear. 1. Fight; 2. Flight or 3. Freeze. This blog is about the frozen kind. The fear that causes such terror that it freezes. Stuck. The emotion stays frozen because the child is not safe to express his or her reality within her environment. Instead of expressing our reality and being validated for who we are, we put on a show for the caretaker. This show is a mask which represents the False shadow Self. This mask is not who we really are, but is what the caretaker needs her to be. It is only when we wear this mask that we gain the acceptance needed for us to continue growing up into adolescence. This is the acceptance that will do, however, that doesn't mean it is healthy. It's like a plant growing up with a disease. As long as we wear this fake mask and as long as the original emotions stay frozen in within our child, we shall never fully bloom and recognise our child within. Along with the frozen emotions, stuck within until we will-fully allow for free expression later in our life by doing the ten stages, there is also pieces of our humanity broken off and silenced. Parts of us that are needed in life that we will not be able to access because it is tangled up with frozen, repressed emotion. Emotions that wanted to freeze, but instead acted happy, like nothing was wrong. A good example of feelings being repressed and potentially frozen is when a child feels required to stop crying, for whatever reason. When a child is not honoured and given space for the full expression of his or her self-compassion, we may freeze out of fear of loss of love and acceptance, and pretend to laugh, even though inside, we feels like crying. This is how emotions are repressed. friends to cheat on us, can't stop drinking or gambling... the list is longer than you think. Most of the problems of human emotion are created in the formative years and rooted in repressed dissociated emotions. This is the core of our problems. These frozen emotions that the child was not allowed to feel never go away.They be4come dissociated This is huge! These emotions stay buried, contributing to limiting beliefs and negative self views. It is not until this pent-up energy is expelled, expressed and processed in the presence of an understanding, safe and validating other that the emotion is released. Every emotion that you've never dealt with is still shut up in our child within. We can see the results in your daily life today. Our actions and reactions can be triggered by these frozen dissociations, wreaking havoc on our life until we thaw it out and begin to finally recover. If we have issues in our life that are repetitive and you're unsure why, it is very likely be due to repressed dissociated emotions. Perhaps we have feelings that are frozen inside our child within like a cold block of ice. What do we do? How do we know the dissociations are there? How do we connect with what happened to us so long ago when we were a little child? That's what we're about to awaken. First, let me explain the positive benefits of expelling repressed dissociations. It's wonderful! Inside every bubble of blocked dissociation tucked inside our child within is a hidden piece of us. This part of us is repressed alongside the unfelt dissociation. When you face the pain and allow the emotional expression of our truth, we will also release parts of ourself we never knew existed. We will gain clarity we never thought we could have. We will become strengthened to win victory over situations that have oppressed us our whole life. The benefits will far outweigh the sacrifice. 1. 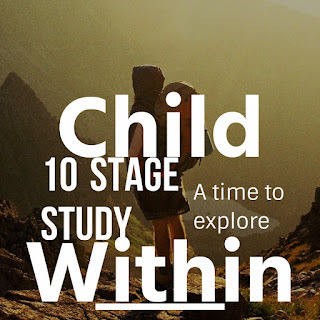 Getting to know our child within intimately. Spend time with ourselves. Journal. Do art. Find out who we are and how we are thinking and feeling. Keep a record of our reclaimed thoughts, our dreams, our actions and reactions. Dialog with ourself inside our recovered mind about what events trigger what thoughts and feelings. Use Kindfulness to know how we are feeling at any given moment. Notice the physical sensations that we feel in our body such as tightness in our chest, certain tastes on our tongue, pains in our body. Become the observer of our child within. 2. Stay consciously aware of negative dissociated life patterns. The key to knowing what child within thoughts are being repressed, which are frozen and which are on fire inside of us is to stay awake. Ninety percent of what happens inside of us happens in our sub-conscious. We are not likely aware in the here-and-now that we're upset because our father refused to play with us when we were little. Our brain will try to project that on other people, or blame some other culprit more readily available.We will become dissociated. Patterns of negative behaviour and reactions that seem uncontrollable can be a great clue to where our repressed emotions/dissociations reside. This requires compassionate honesty and willingness to see the truth. It can be painful to look beyond your dissociated defences, but the results of locating these hidden emotions and expelling them completely is worth every effort. Our life will never be the same once we are free! All the problems that you've never been able to figure out will easily fall to pieces when you are free from blocked dissociations. Look for clues in what is happening to us TODAY so as to understand what happened to us long ago that you never got to process. 3. Give ourself space to be, and to express our repressed dissociations. Just reading this blog starts the process of healing for our frozen dissociations. Reading this article is a way of tending to our child within, of honouring the potential lost part of us that is attached to the hurt and pain that is frozen inside. Bravo to you for reading this far... Now, we go a stage further and spend time with ourself and let ourself know that it is okay to be real now. This is child within work. It is the process of you re-recovering ourselves and telling ourself that although it was not okay to cry when we were little for whatever happened to us that hurt us, but that it is okay now. This is about being a compassionate loving adult to our child within and giving ourself room to express what's been suppressed deep inside. Giving ourself space means turning from the ways we typically abandon and dissociate from ourself. This means staying sober to attend to the brokenness in our child within without dissociating. This means staying home and allowing ourself to be alone with our child within. This means giving up dissociations taking time off work, turning off the TV, fasting from the internet, forgoing golf--doing WHATEVER IT TAKES to give our child within space to feel and express what's deep down inside. 5. Seeking out the root cause of the painful dissociations. We will have more clarity, understanding and release when we are able to pinpoint the actual cause of the original hurt. This could be something that happened to us on the playground as a kid, or something that our brother or sister did to us. Whatever the case, our knowledge of our dissociated moment bring more clarity when we know the exact moment of impact. 6. Express the dissociated moment. Once you've discovered the dissociation to be released, we find a way to gently express what is there. our emotions are begging for release! Let it out! Cry, cry, cry, weep, do whatever we can to truly connect with the original source of the dissociation. We will know we've hit the mark when we can express the reason for the pain as being from long ago--like a child crying at the moment of being hurt. This is an incredibly cathartic experience! We will not be the same when it is over. The process of expressing dissociations become very interesting. 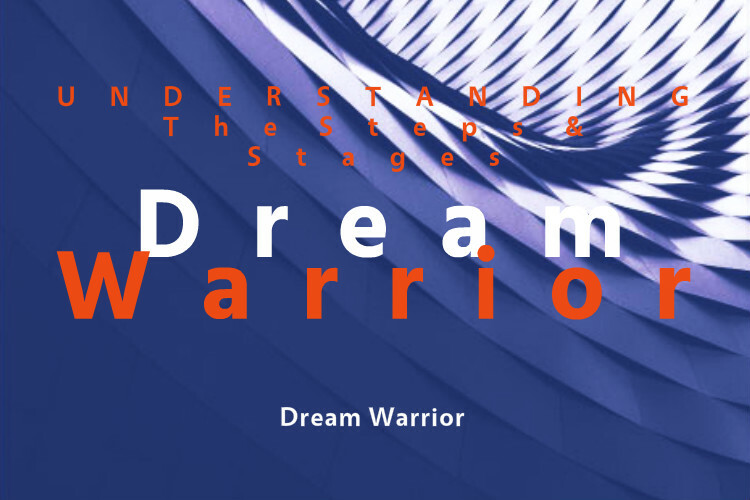 At first, we may be afraid to lean into the pain and seek out these negative, hurtful thoughts that scared us so badly that we've kept them hidden in our subconscious since day one--but let us tell you, there is nothing to fear!!! It is only when we are able to feel these feelings first hand that we will become free. 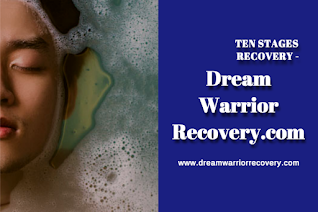 Recovery comes with the expression of dissociations that we tried to ignore. 7. Find supportive member to confide in. our repressed, frozen dissociations are not for everyone. We want to be careful who we share your innermost dissociations with... however, we who are caring and loving and qualified to help us release our repressed dissociations. We make sure that we are capable of giving space and VALIDATING our dissociation. Without discussion, we cannot fully process what happened. The dissociations will not be fully released without the caring, validating presence of another. We are recovered during these connections. We cannot be vulnerable, weakness makes us unlovable. Never be alone because who we are is boring. No one will ever love us because we are damaged. We must be perfect to be accepted in this life. These imposed core beliefs are treacherous, and the reason for many of our failures to confront our dissociations. Getting to the root of these negative beliefs (which is repressed dissociations) will help our child within to logically re-think what it believes. It may not happen overnight, but our mind will begin to seek proofs that these beliefs are not true (with our gentle guidance), and soon, once we are recovered and free of the negative energy of dissociation, we will find that our beliefs have totally changed. 9. Connect with our perfect child within source. We are a child within being. We cannot recover without connecting to the child within aspect of who we really are. The child within is what makes us ethereal, eternal and is where the ultimate power to recover is found. Without being connected to your child within source of love, assurance, trust and knowing, we will get relief, but not ultimate recovery. Ultimate Recovery requires an understanding of your child within nature. Healing and learning to love ourself requires a strong connection to the child within. Recovering and growing into a mature, happy, healthy and whole human being requires that we realise who we are--a child within. We must do whatever it takes to know, really know that! Dissociations stay in our sub-conscious and control our life in negative ways. It's not that the dissociations are bad, per say. our dissociations are dissociations and each is valid and to be at the time of conception. The dissociations are not bad, it's the repression and denial of these dissociations that bring us numbness.Our feelings are energy that must be dealt with. Not dealing with feelings makes you contorted emotionally and can make the whole world seem distorted. It is up to us as an adult to embrace our child within, face the repressed sadness inside, and allow ourself space to unfold and experience what we rejected in us long ago. 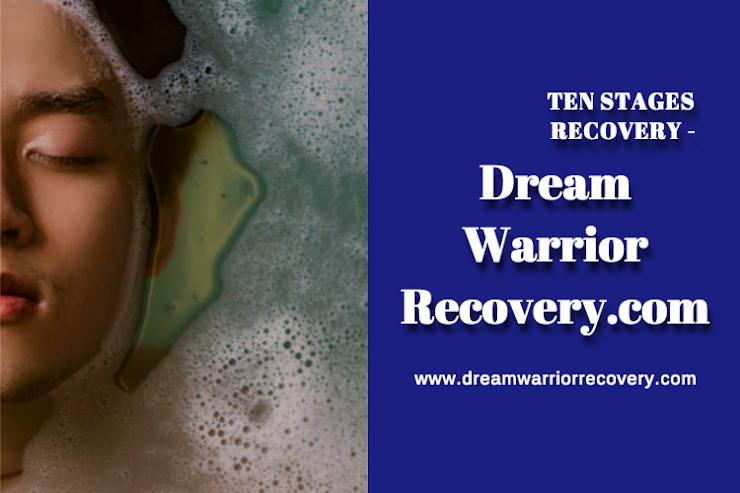 We cannot love ourself, we cannot see ourself, we cannot know ourself or anyone else to the fullest extent until we have felt all that we can feel in our recovery.